The following was initially posted in World Streets on 6 January 2014. 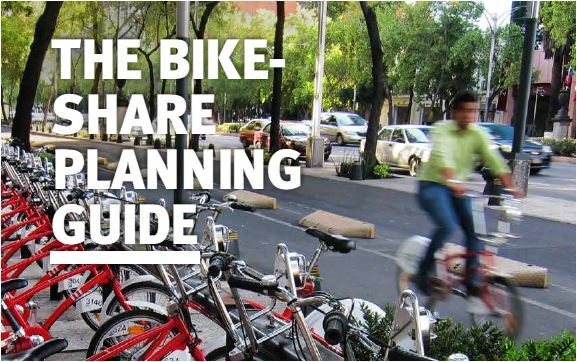 It is reproduced here with the key references in the hope that it wlll be of use to all those involved with or concerned by the proposed Bike Share project for George Town in 2015. Transportation is at the heart of many of the most pressing issues facing the world today – from climate change to public health. Yet, many people regard transportation as little more than a means to an end. In fact, transport networks are the pulse of a city, defining livability and urban space. Decisions about whether to build highways or bus corridors or greenways have tremendous impact not only on the air we breathe and the price we pay to get around, but also on the health of our planet. This entry was posted in 2014, Public Bicycle System, Public/Private partenership, Report and tagged City cycling, World Streets. Bookmark the permalink.